Dunk your friends to amaze a giant blue man in SLAM LAND, a magnificent new 4-player couch competitive fighting/party game by Bread Machine Games. Select your fighter and punch, grab and DOUNK! your way through five modes, ten levels, and a surreal world overseen by a benevolent giant whose only amusement in life is to witness sporting and majestic slams. Win his favor or get stuffed trying! 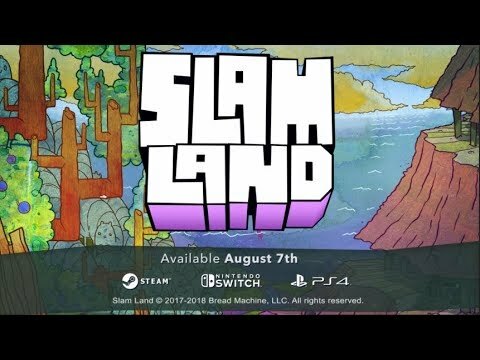 Slam Land was released on Mac, PC, PS4 and Switch 254d ago in the US and the UK. Notify me when Slam Land is available.